Home Letter of Credit Basics How to Open a Letter of Credit? How to Open a Letter of Credit? How how to open a letter of credit? How to apply for an import letter of credit? 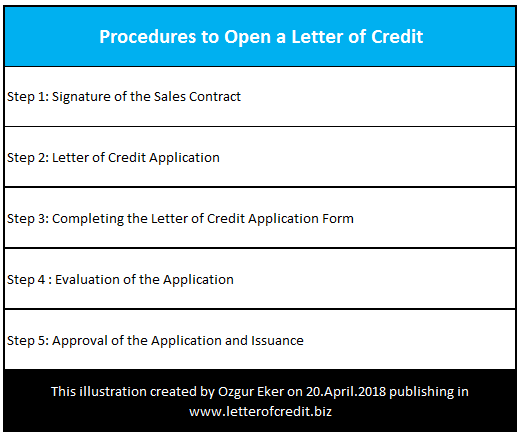 On this page, I will try to answer the question “How to open a letter of credit?” by explaining the lc application process in detail with examples. Also you can find the explanations belong to some of the most frequently used letter of credit application terms such as letter of credit application form, draft letter of credit, MT 700 issue of a documentary credit swift message etc on this post. Whatever sector you might be located, if your dealing with international trade, sooner or later you may have to open a letter of credit throughout your professional career. Letter of credit is a payment method in international trade, which is used by almost all sectors from textile to machinery, food manufacturing to construction, oil trading to customer goods. You may assume that there are big differences exist on letter of credit application processes for all these different sectors. However, this is not correct. The process is almost the same. You have to follow similar procedures when opening a letter of credit regardless of the sector you may be located. Who Opens the Letter of Credit? The issuing banks are opening the letters of credit according to the instructions they have received from the importers. We can say that letters of credit are opened by importers’ banks in favor of the exporters according to the instructions they have received from the importers. Importers define the terms and conditions of the letters of credit. Step 1: Signature of the Sales Contract: In letters of credit terminology, the importer called as the applicant. The applicant plays a key role in a letter of credit transactions from beginning to end. Let me start explaining the letter of credit issuance process. Please keep in mind that I will be explaining letter of credit issuance process through the eyes of the importers. At the very first step as an importer I need to find myself a supplier. Then I need to sign a sales contract with my supplier. 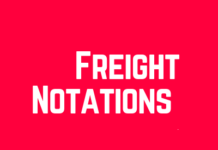 On the sales contract, the importer has to indicate the terms and conditions of the sale including but not limited to the delivery term, description of goods, delivery date, price and quantity of the goods, package type, insurance coverage, legal details etc.. Please keep in mind that a proforma invoice could be used instead of a sales contract. Important Note: Letter of credit is not a sales contract. Actually, the letter of credit is an independent structure from the sales or other contract on which it may be based. 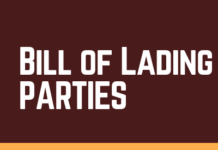 Therefore, it should be keep in mind that a well-structured sales contract protects the party, which behaves in goodwill against various kinds of risks. Step 2: Letter of Credit Application: After the signature of the sales contract, the importer applies his bank to have the letter of credit issued in favor of the exporter. The importer has to make sure that the letter of credit application must be in accordance with the terms of the sales agreement. Step 3: Completing the Letter of Credit Application Form: After the importer applies to his bank for issuance of an import letter of credit, the issuing banks requests him to fill an application form, which is called “Letter of Credit Application Form” or “Documentary Letter of Credit – Application From”. The letter of credit application form could be in electronic or hard copy format. In general, the application forms are similar to each other whether they are offline or online. Because of the fact that they follow the swift message body of issuance of letter of credit. Banks use MT 700 – Issue of a Documentary Credit swift messages when issuing a letter of credit. The issuing bank may request the importer attached the proforma invoice or sales contract to the application form in order to make sure that the letter of credit application form reflects the correct data stated on the proforma invoice. Step 4 : Evaluation of the Application: At this stage the issuing bank evaluates the letter of credit application. If the issuing bank decides to issue the letter of credit, then the issuing bank takes action to secure its payment from the importer. 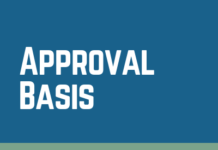 Step 5: Approval of the Application and Issuance: The issuing bank creates the letter of credit and sends it to the importer for approval. At that point it would be a good idea have the draft l/c checked by the exporter. This will eliminate costly possibly future amendments. The draft letter of credit will be also in swift message format and reflects all the details of final letter of credit. Once draft letter of credit will be confirmed by the exporter, the importer I can give final approval to the issuing bank for the issuance of the lc. Applicant: The person or company on behalf of whom the documentary credit is issued. Application: The applicant’s request to the issuing bank to issue a documentary credit. Beneficiary: The party in whose favor a documentary credit is issued. For a commercial documentary credit this will typically be the exporter. The beneficiary must present the documents stipulated. Contract: Binding agreement between two (or more) parties. 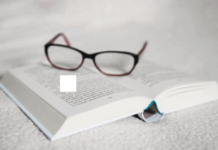 In connection with a documentary credit the agreement will typically be made between the buyer and the seller. The terms and conditions of the contract have no effect on the terms and conditions of the documentary credit or on their interpretation. Issuing Bank: The bank that issues a credit at the request of an applicant or on its own behalf. Swift: A generally used abbreviation of Society for Worldwide Interbank Financial Telecommunication, headquartered in Brussels. SWIFT constitutes the international telecommunications network for banks and offers a very high degree of security. Next articleHow Does an Import Letter of Credit Work in International Trade Transactions? Partial Drawings and Partial Shipments: What is the Difference? How to Check a Letter of Credit as an Exporter?